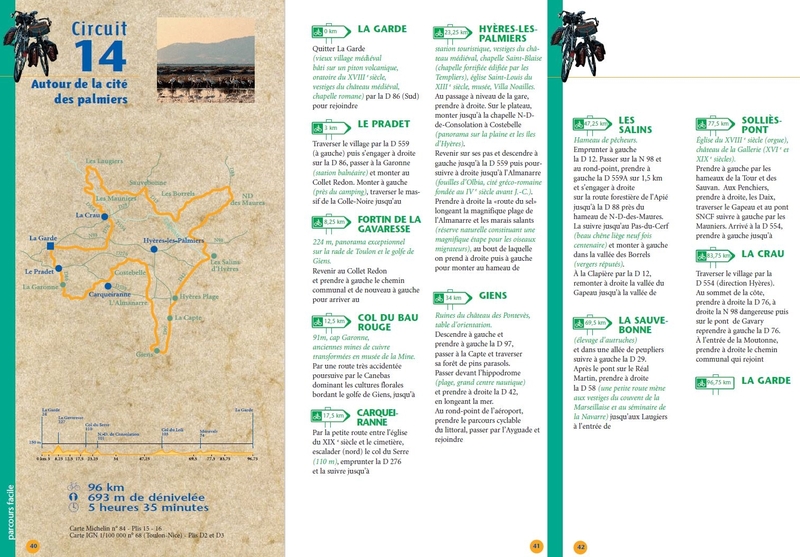 You can hire bikes in the Var with BikeHire Direct! 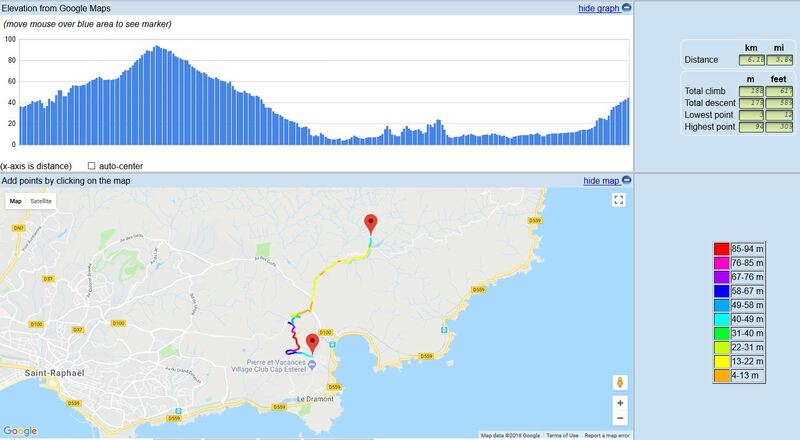 BikeHire Direct Var make it easy for you to rent bikes in the Var - there is no need to have the extra hassle of transporting your own bikes... let us know where you are staying and we will deliver bikes directly to your holiday accommodation ready for you to enjoy on your holiday! 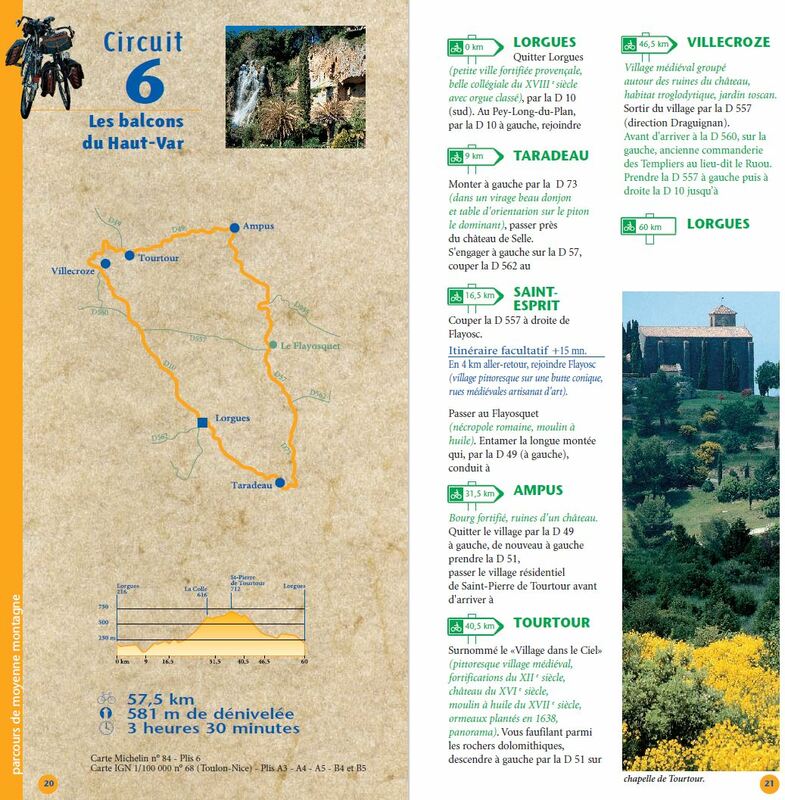 The Var is part of the Provence-Alpes-Cote d'Azur region in south eastern France, famous for its Mediterranean seaside resorts contrasting with its hilltop villages, vineyards and forests. 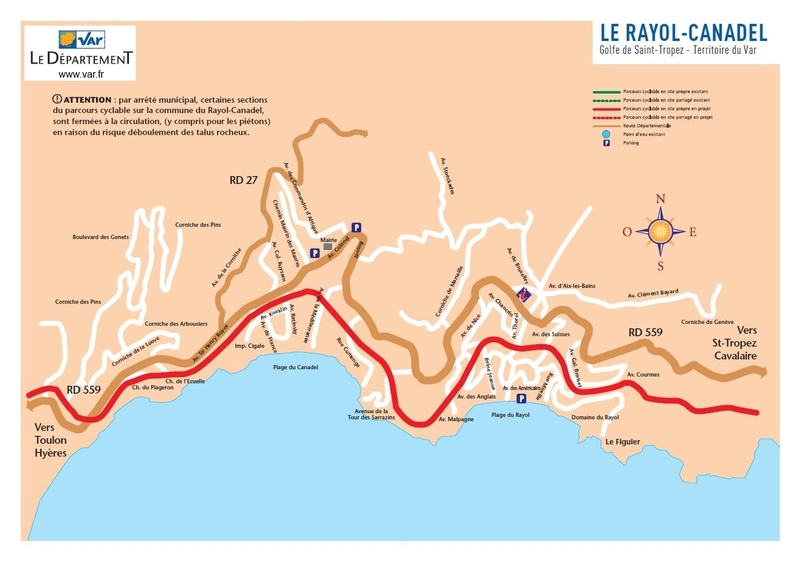 It is also part of the French Riviera, known the world over for its glamour and beauty. 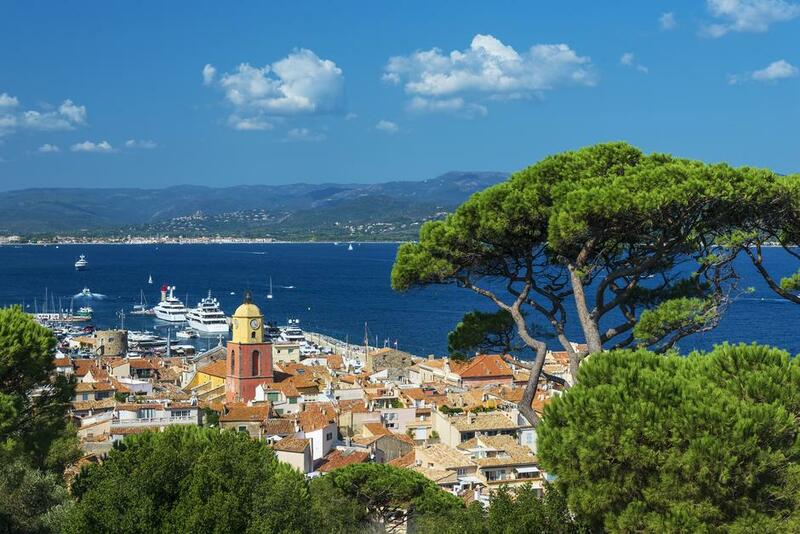 Boasting some 400km of Mediterranean shoreline, with contrasting sandy beaches and wild cliffs, the Var is renowned for its beach resorts such as Saint Tropez, Saint-Raphaël, Fréjus and Hyères. 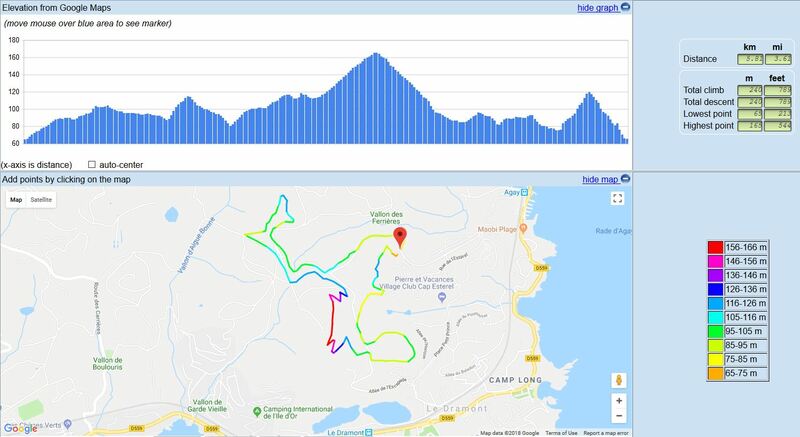 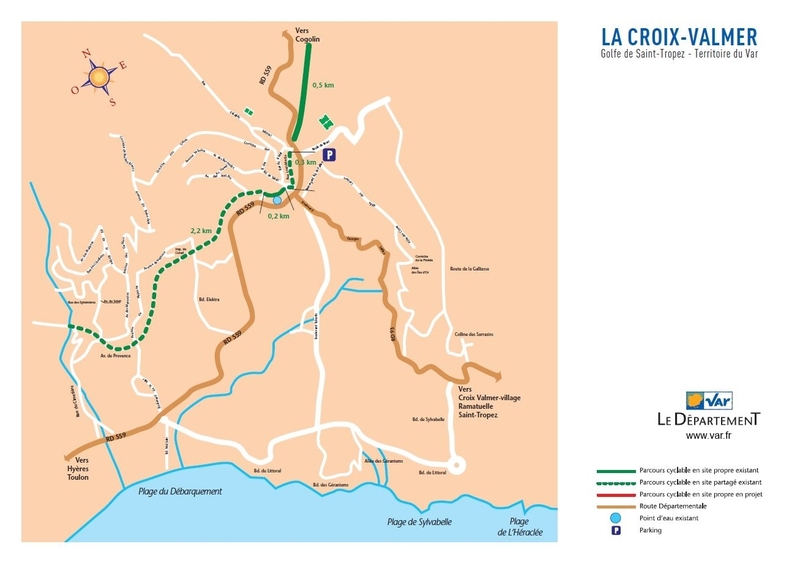 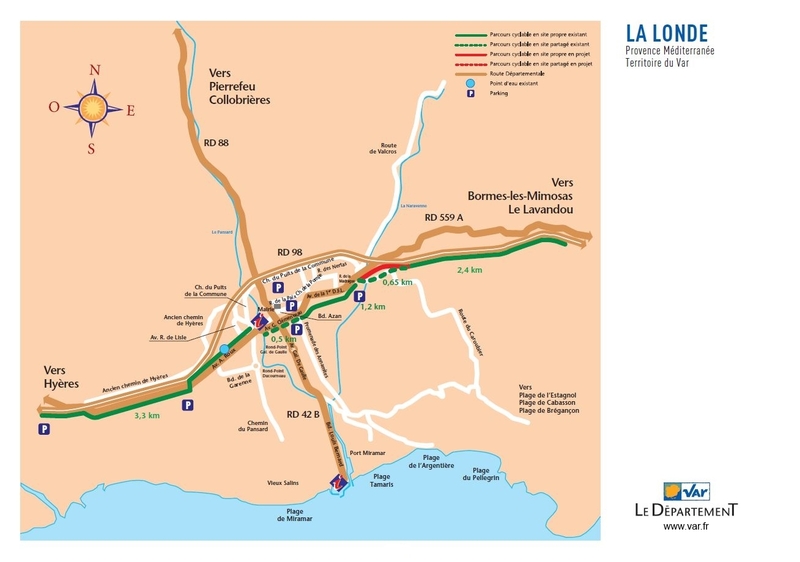 Taking advantage of the charm, climate and wonderful scenery, the department of the Var is developing a coastal cycle path, 'le littoral Vazois en Velo', along largely dedicated non-motorised routes. 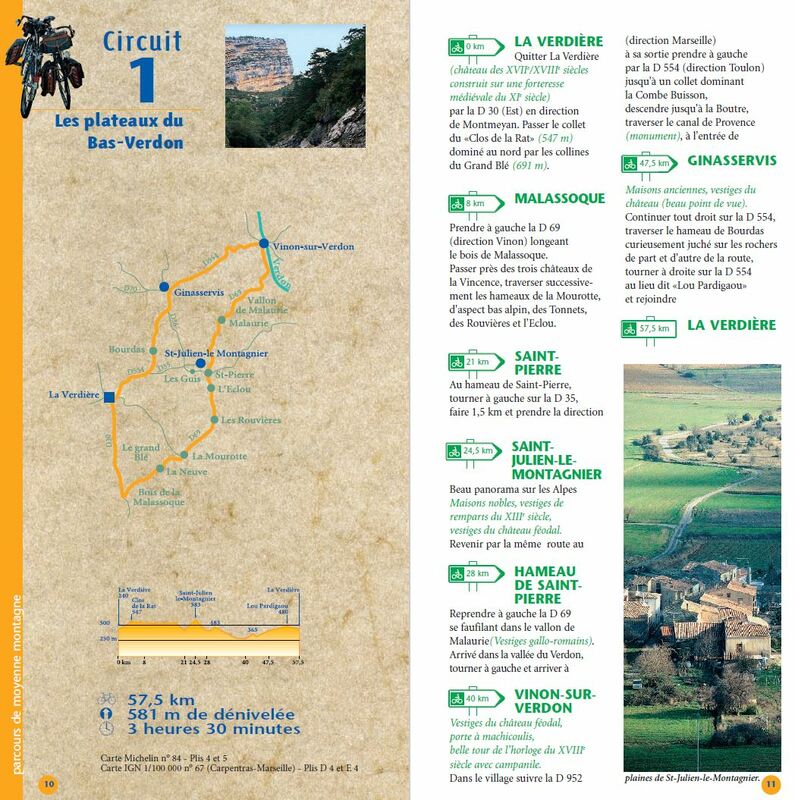 Moving inland, the interior of the Var influenced by the sunny climate, is an agricultural mecca, and is the largest producer of cut flowers, provides 80% of French figs, a quarter of French olives and is a world leader in rose wine. 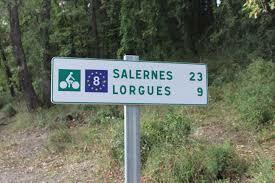 The gentle hills and valleys make this an incredible experience to explore by bike. 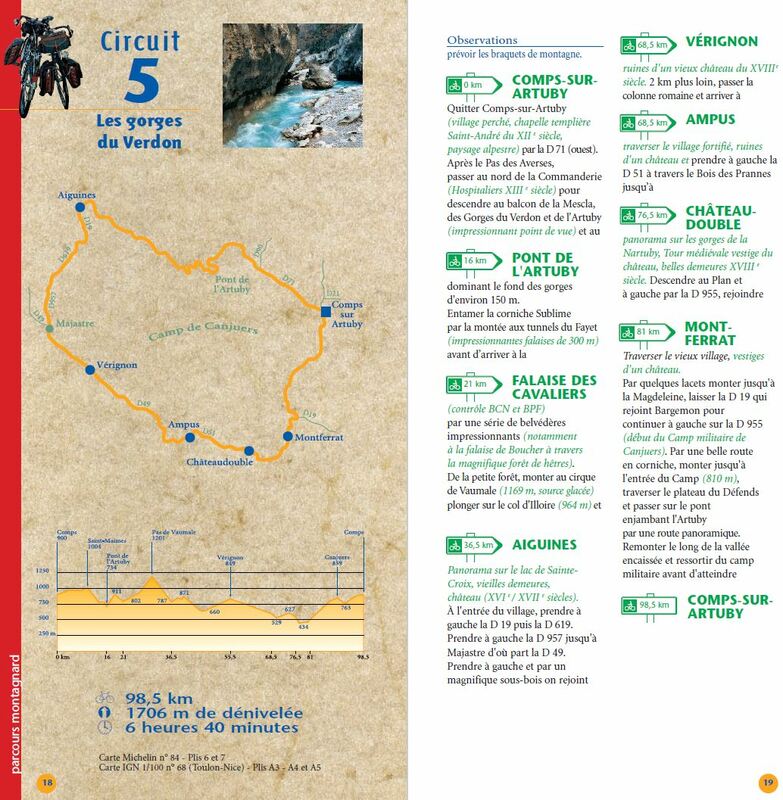 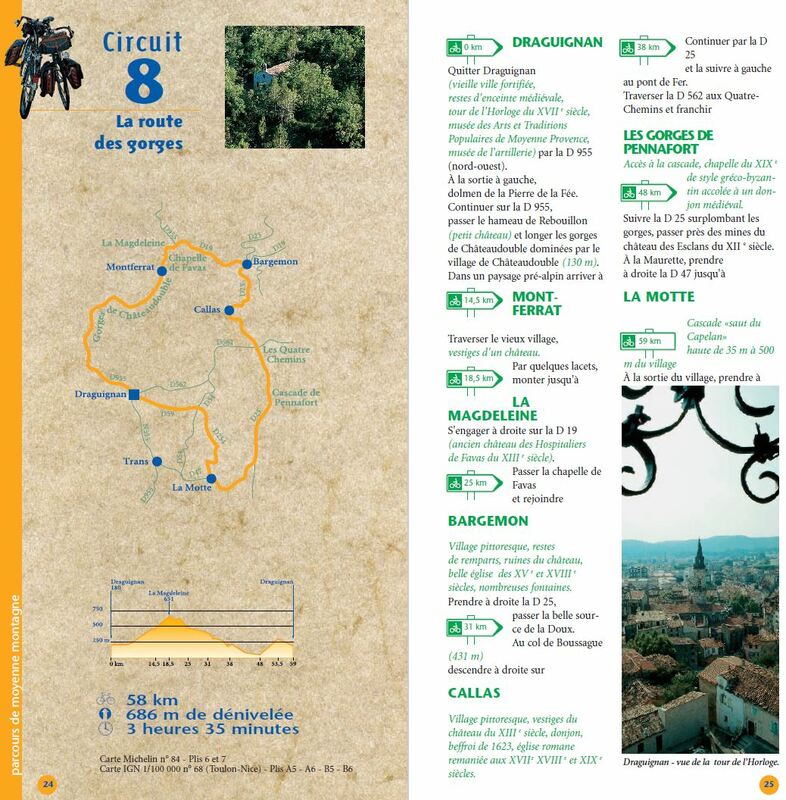 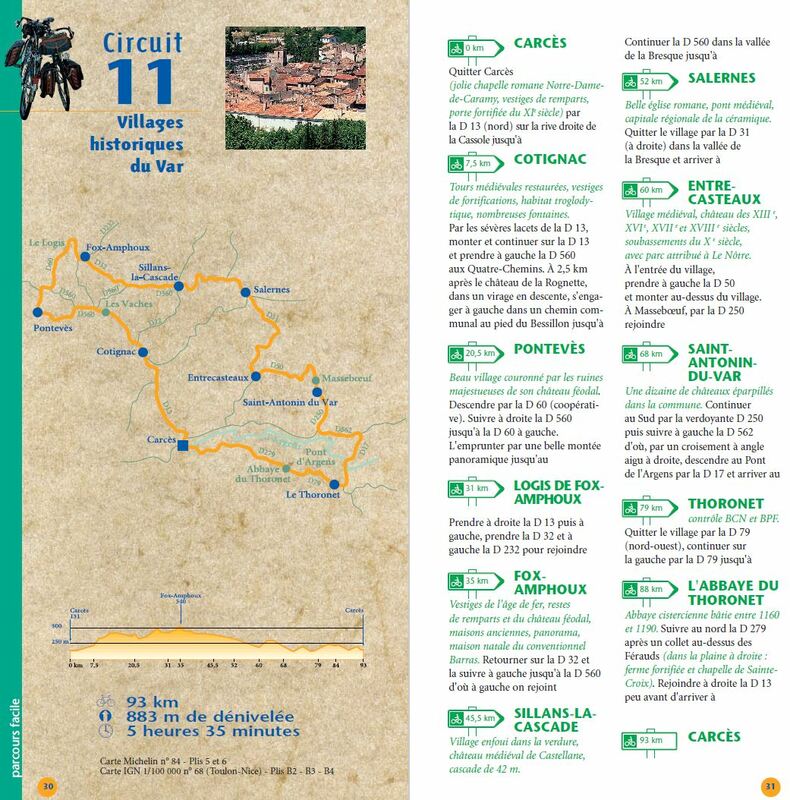 Finally, the Upper Var with its old villages perched on forested mountains, lakes, rivers and waterfalls, with the stunning Gorges du Verdon as its showpiece, means the Var provides something for all cyclists. 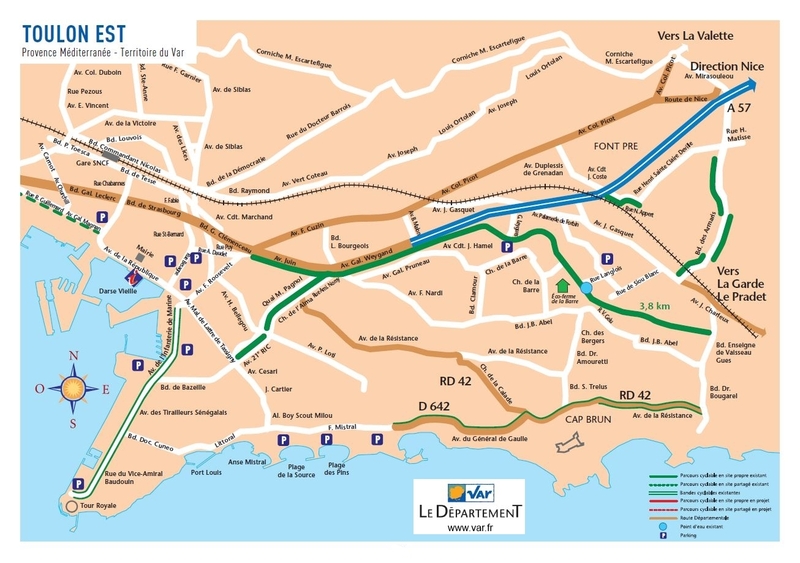 The Cote d’Azur, named for its stunning deep azure-blue seas runs from the border with Italy all along the southern coast of France to Toulon. 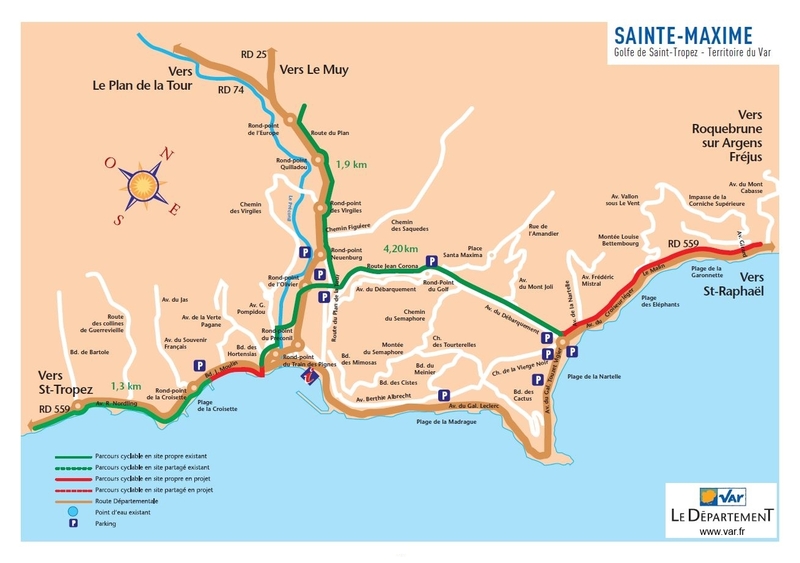 Cycling is a great way to explore the region and many of the coast roads have cycle paths that run alongside them. 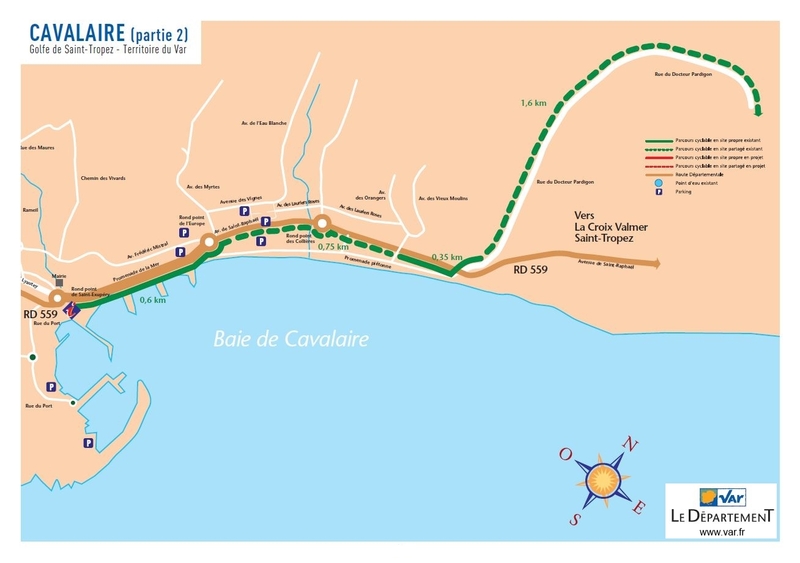 The EuroVelo network consists of 14 cycling routes stretching 70,000 km across Europe. 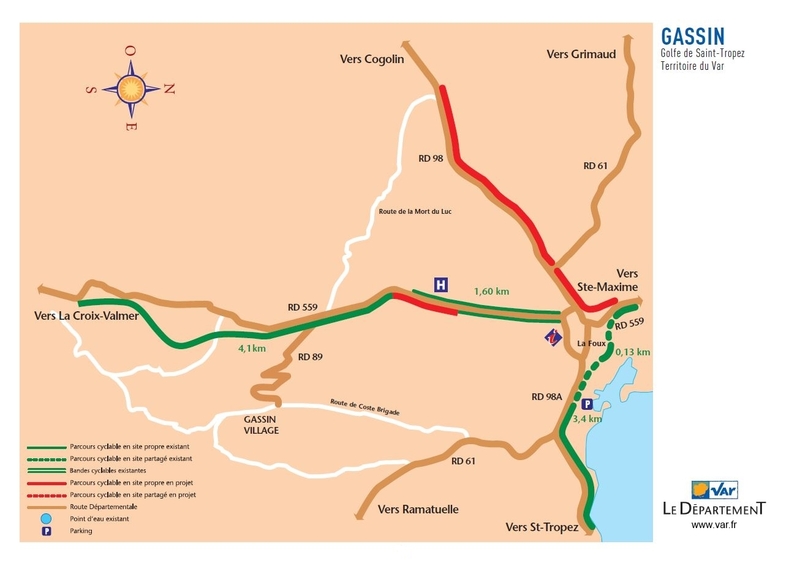 EuroVelo 8, or the Mediterranean Route, passes across the Var. 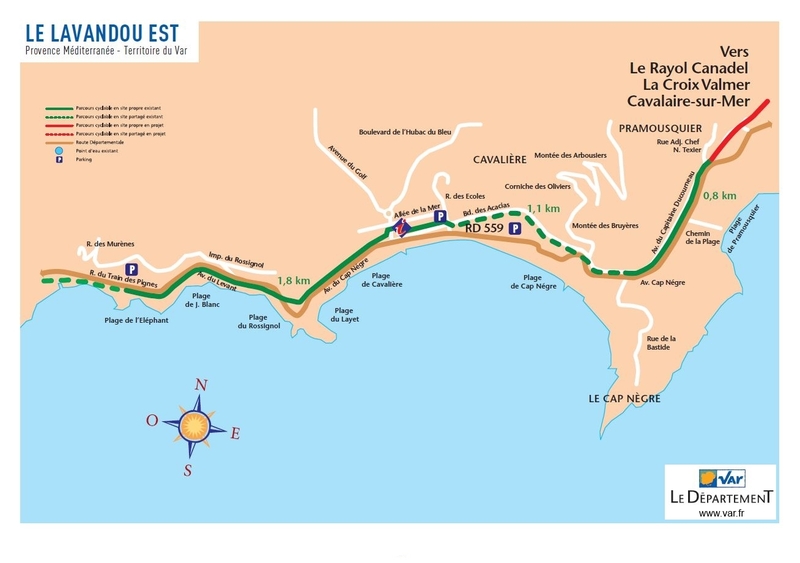 The entire route is nearly 6000 km long and connects Southern Spain via 9 other countries to Greece and even the island of Cyprus. 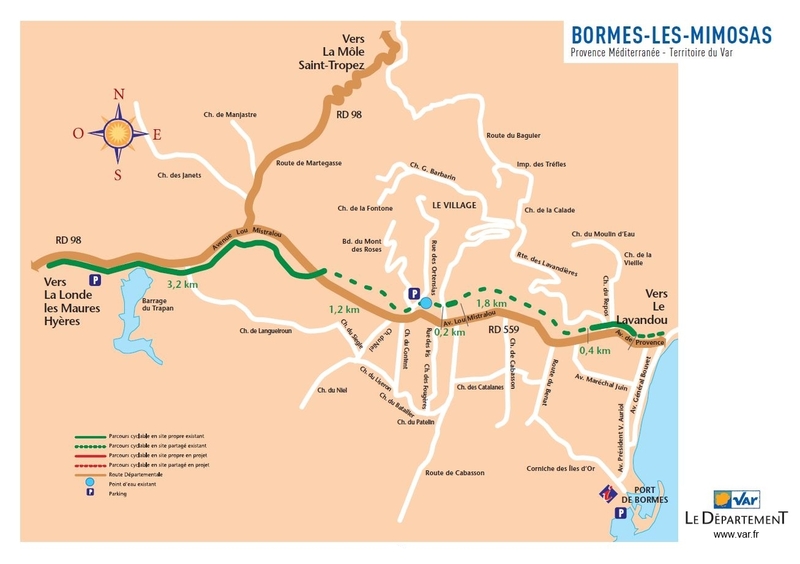 Although called the Mediterranean route, it heads inland through the Var, from Barjols across to Draguinan, before heading back down to the coast, taking advantage of the stunning villages and back roads of Provence. 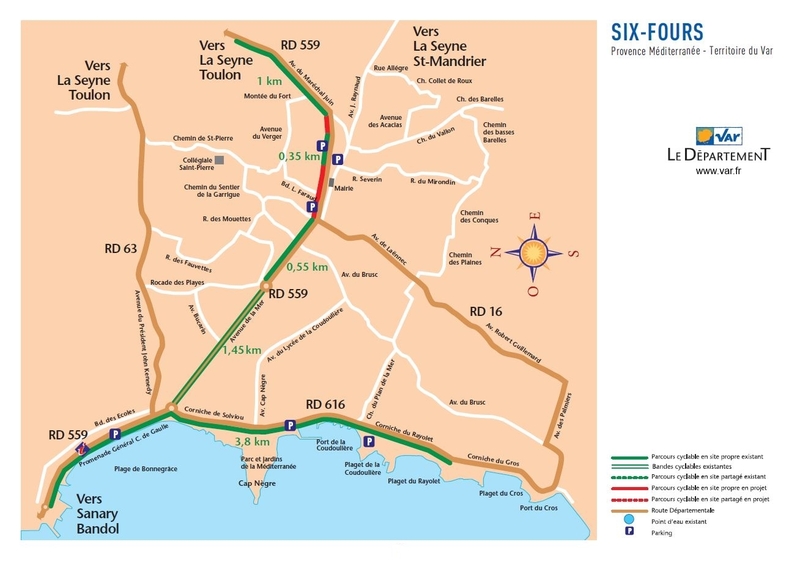 For further information visit Veloroute de la Mediterranee. 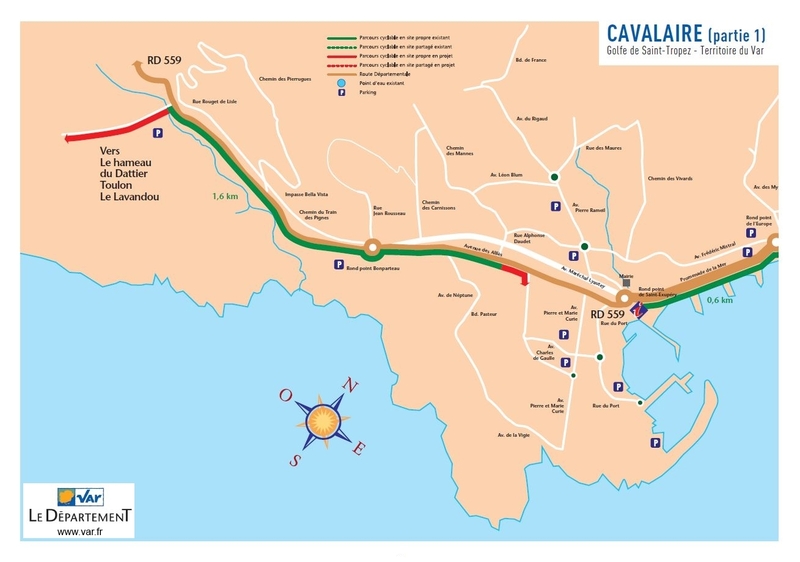 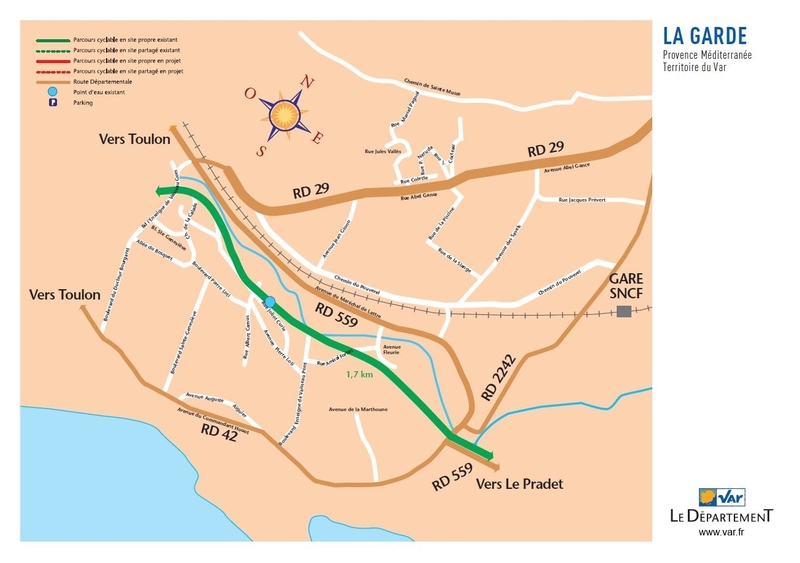 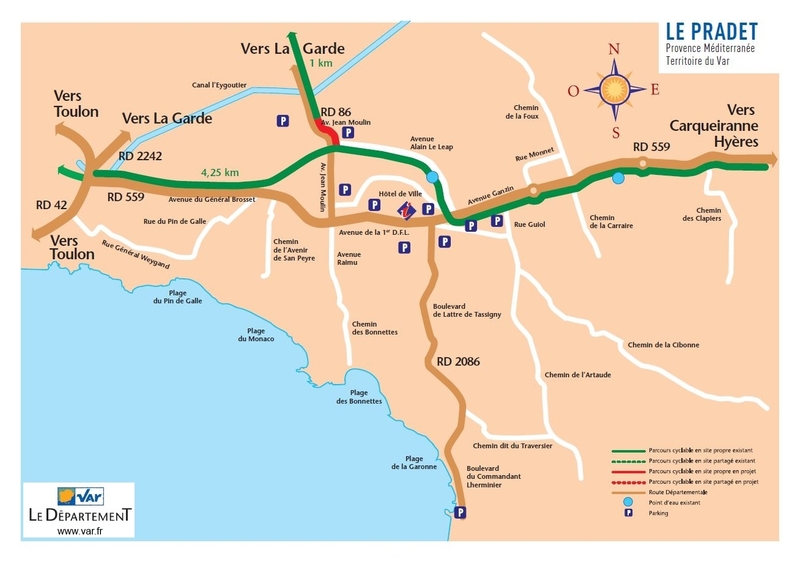 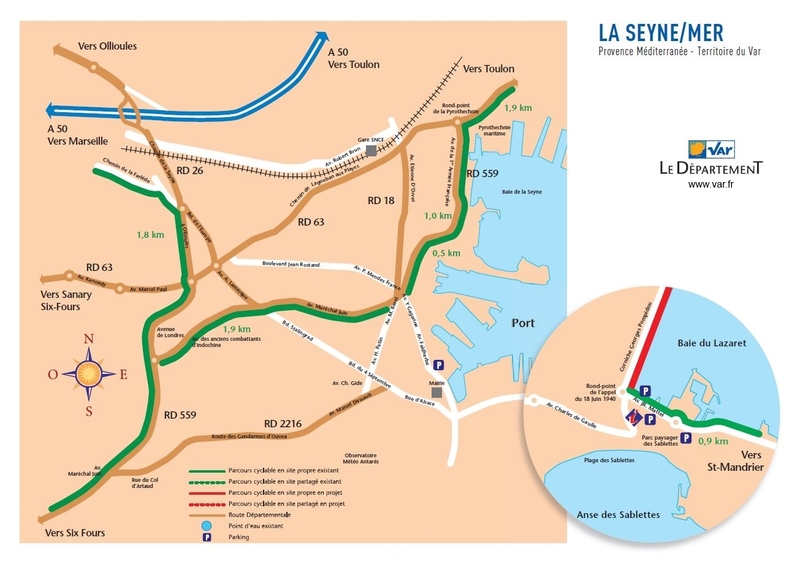 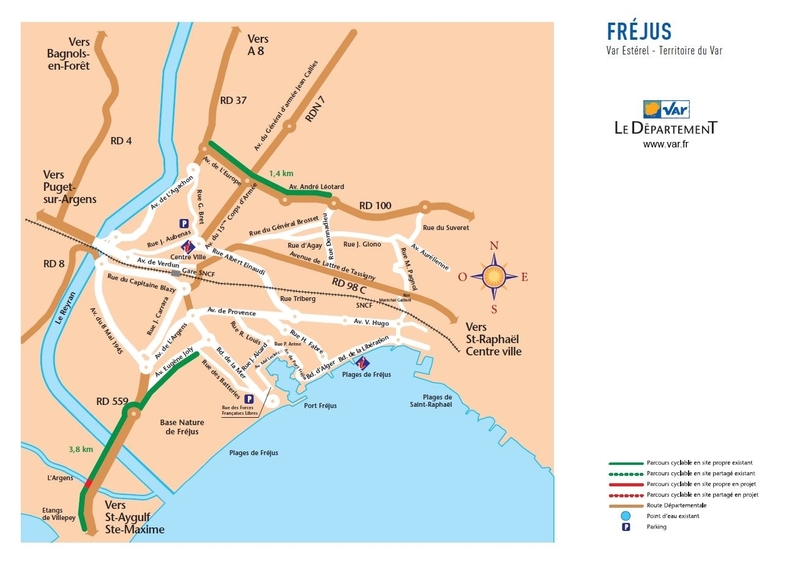 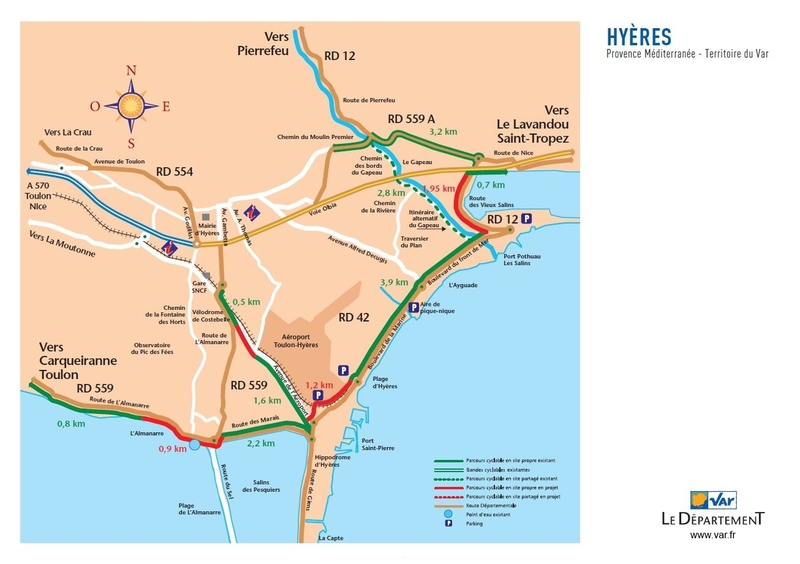 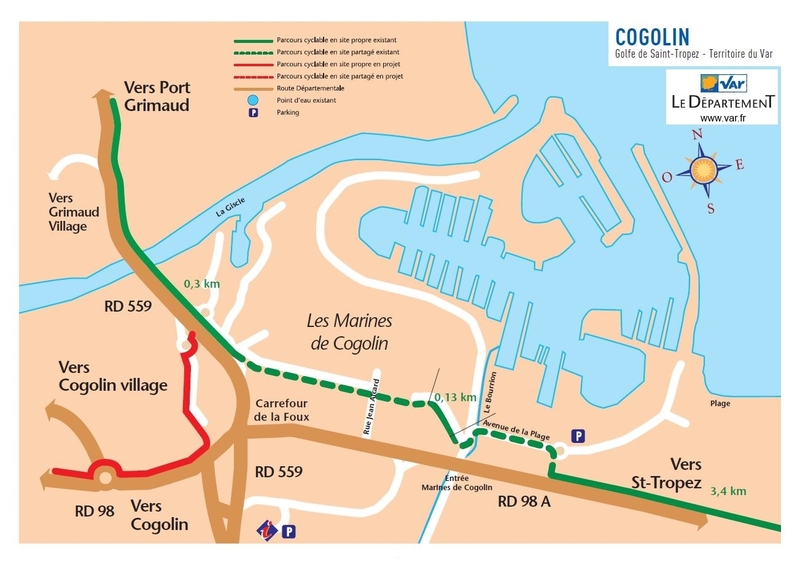 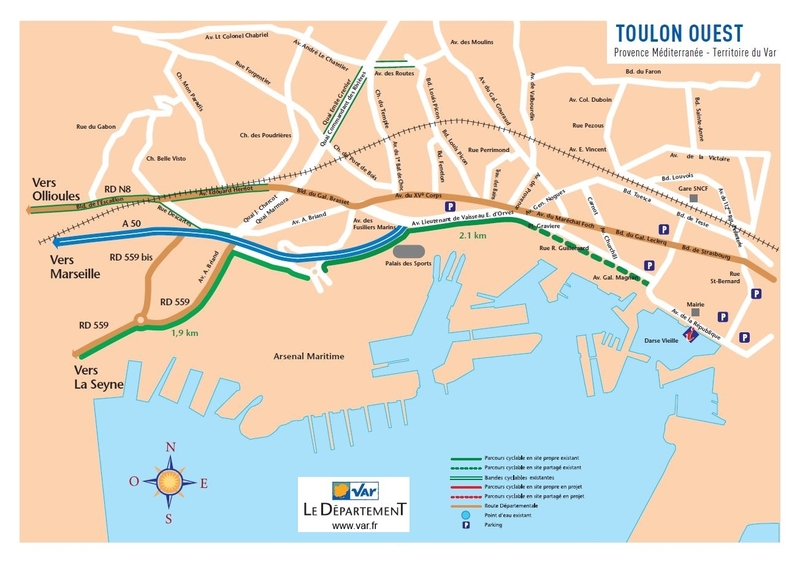 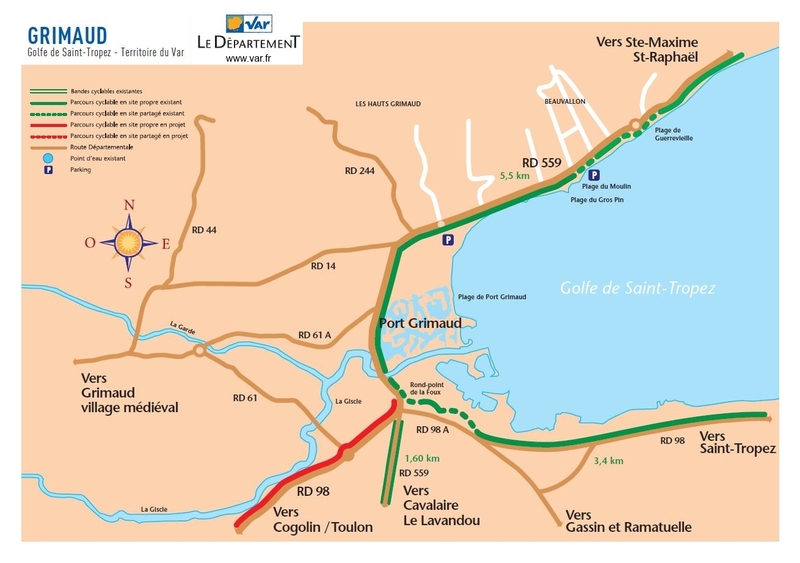 The department of the Var is developing a coastal cycle path that covers 20 of the Mediterranean communes known as Le Littoral Vazois en Velo. 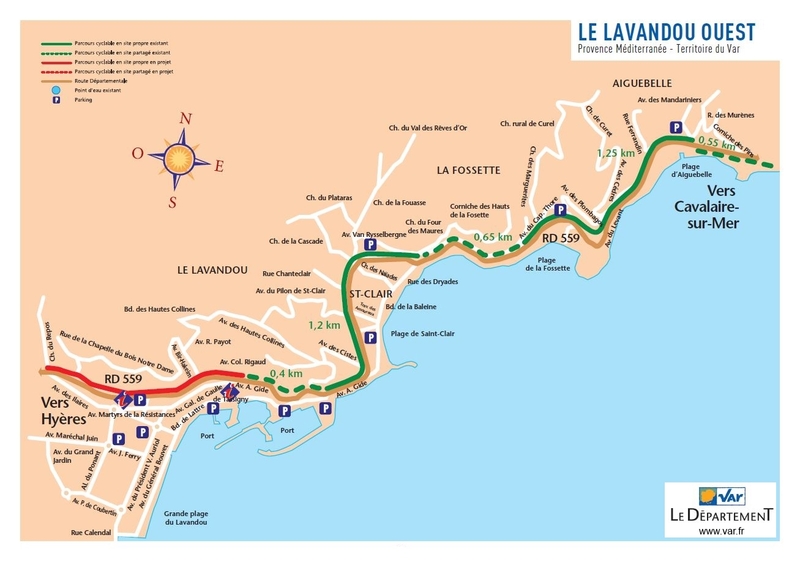 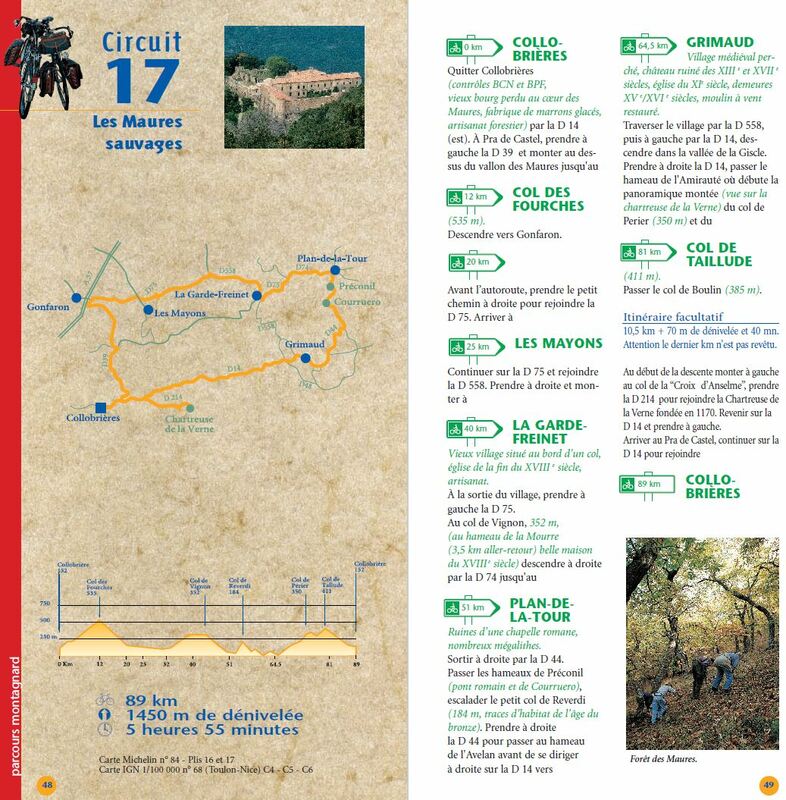 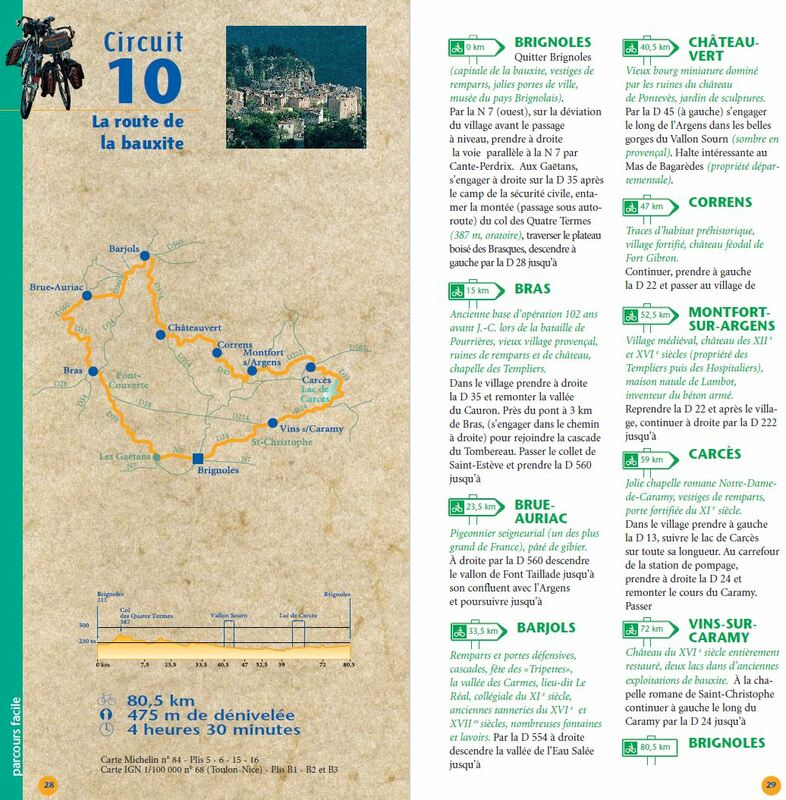 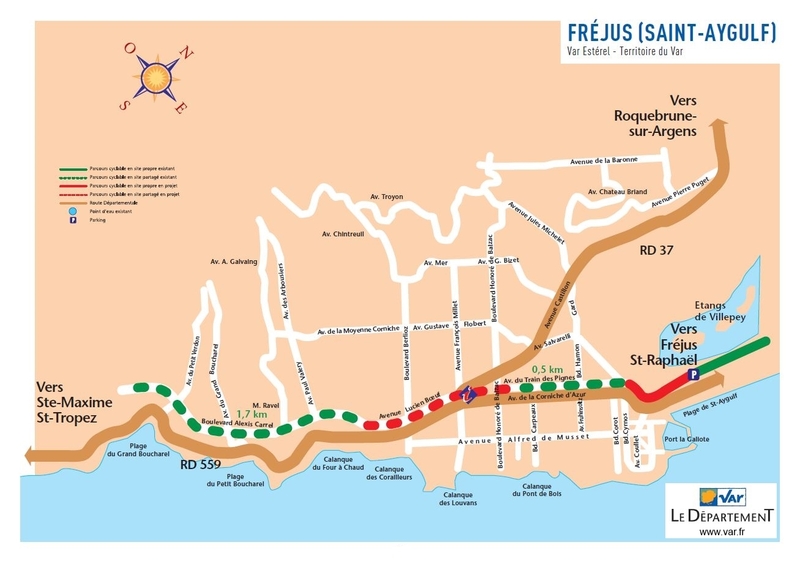 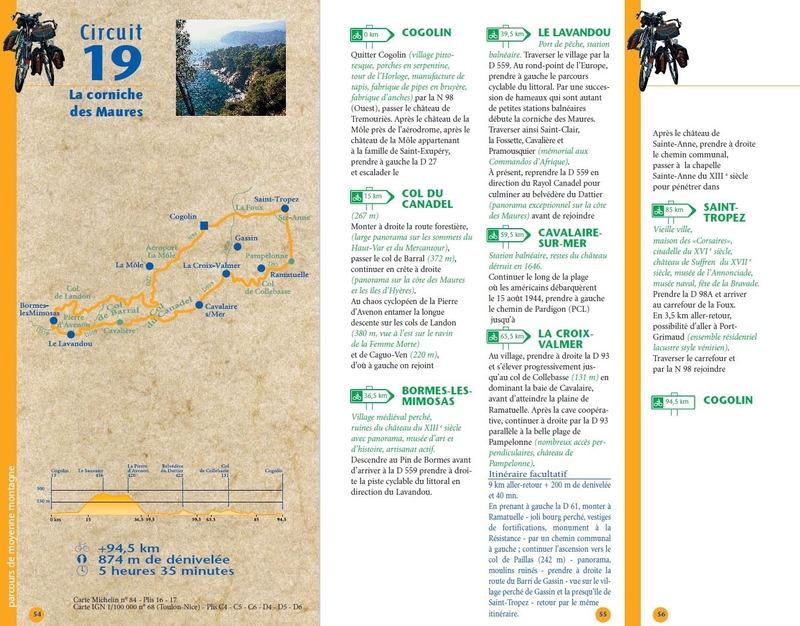 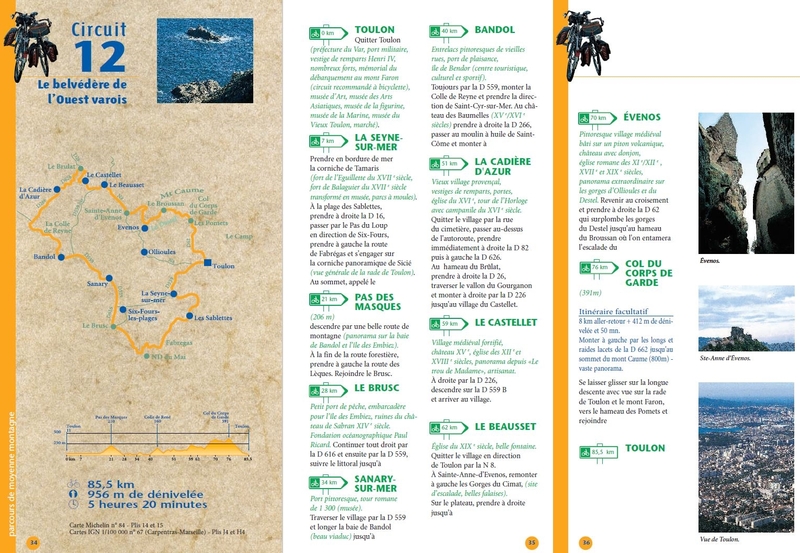 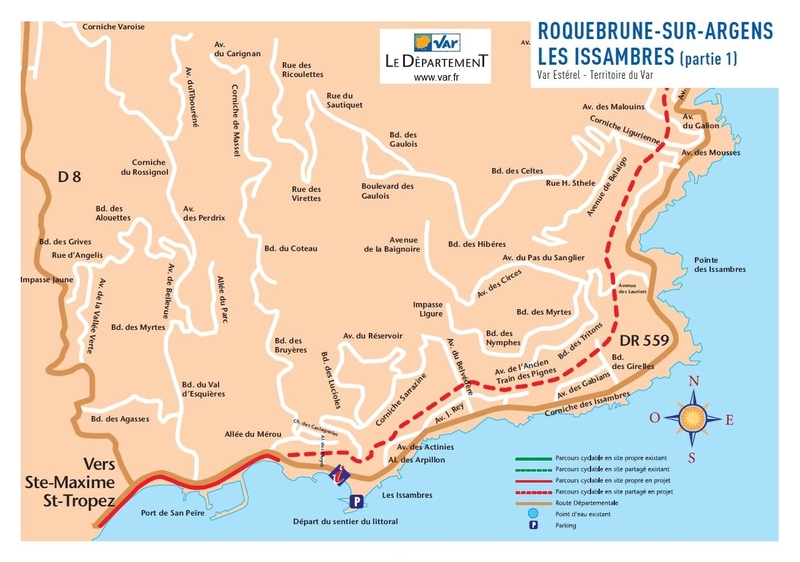 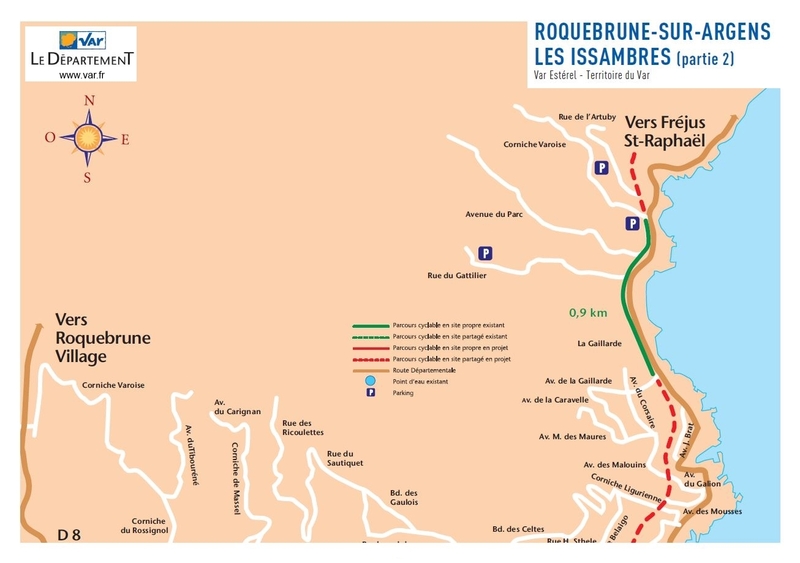 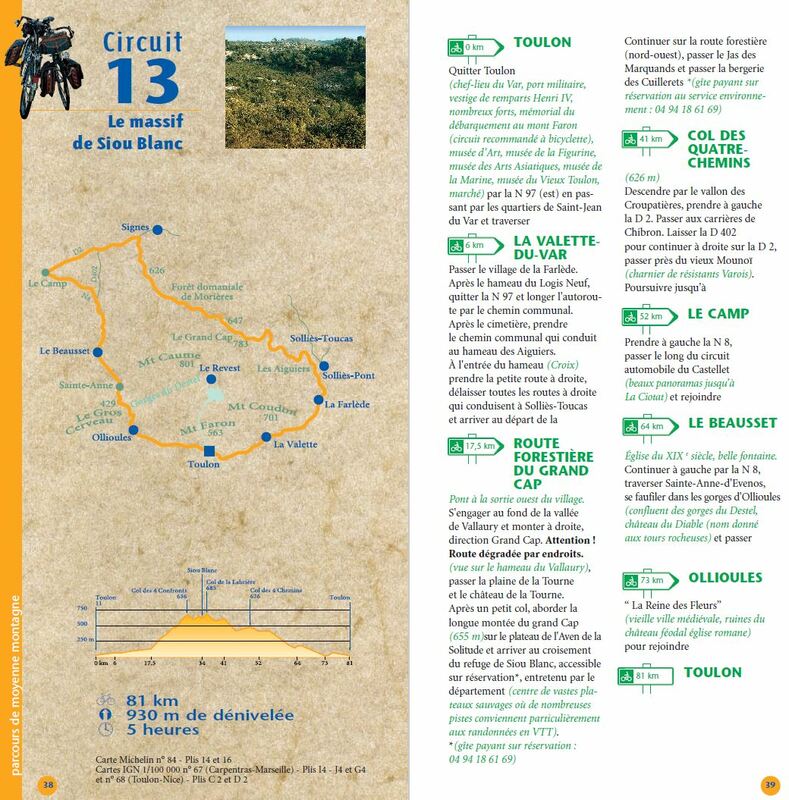 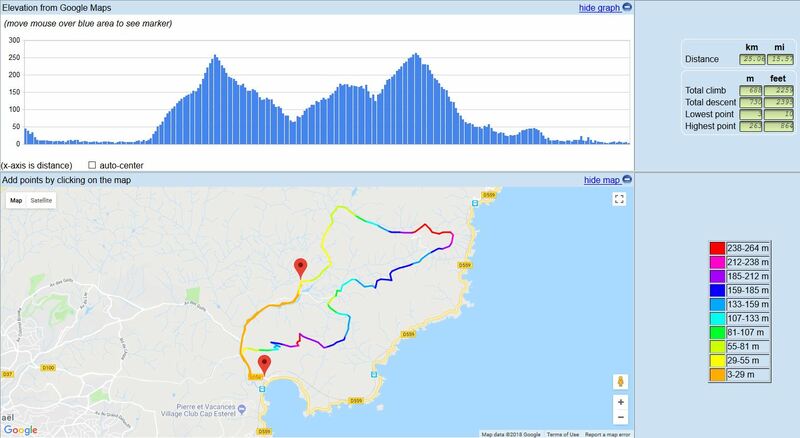 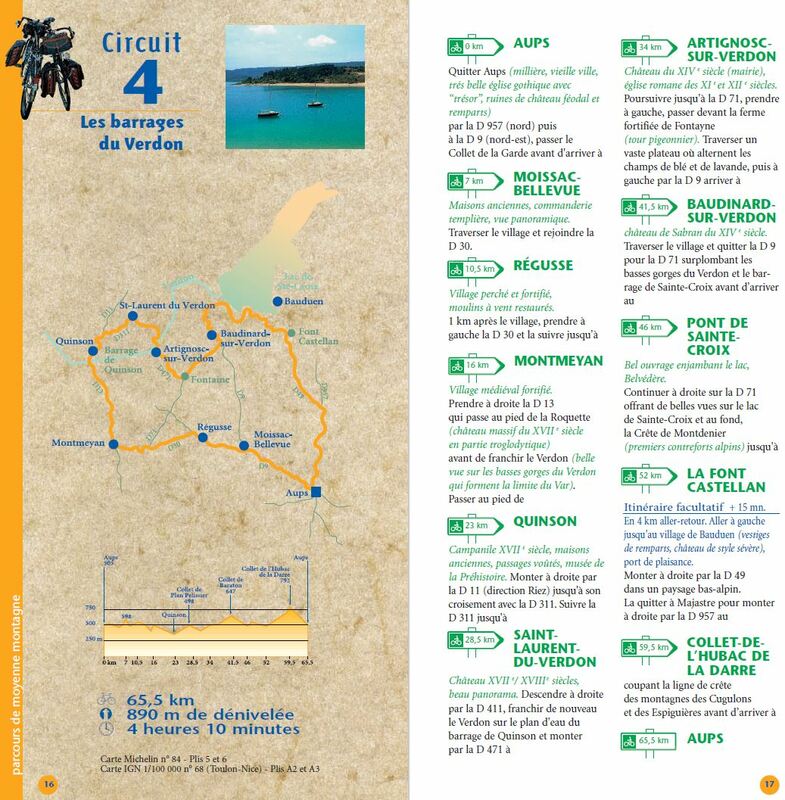 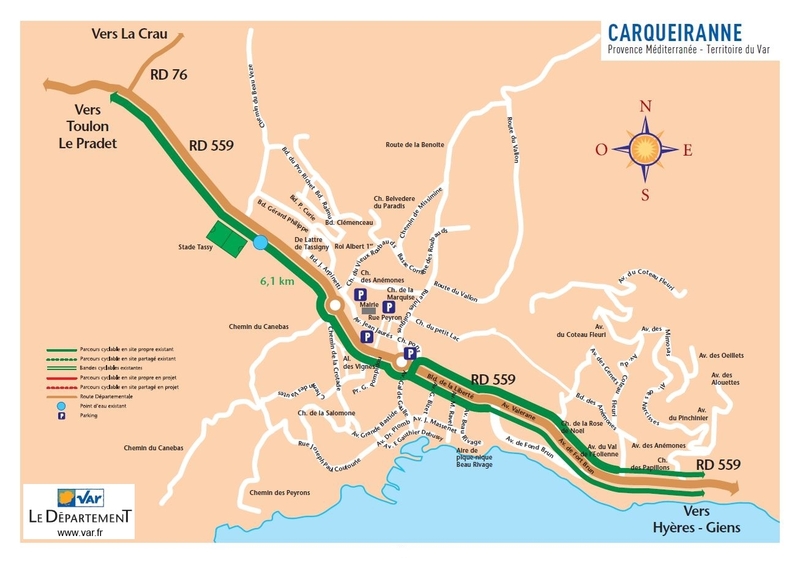 The majority of these routes are exclusively for the use of non-motorised users, making this a safe way of discovering the coastal landscape of the Var. 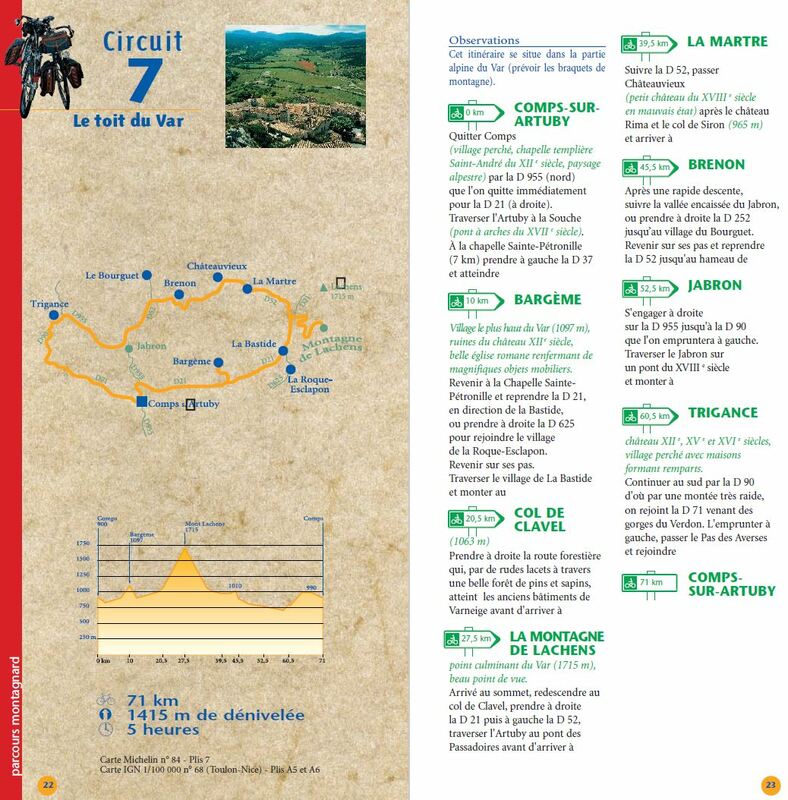 Full details can be found on the Var website. 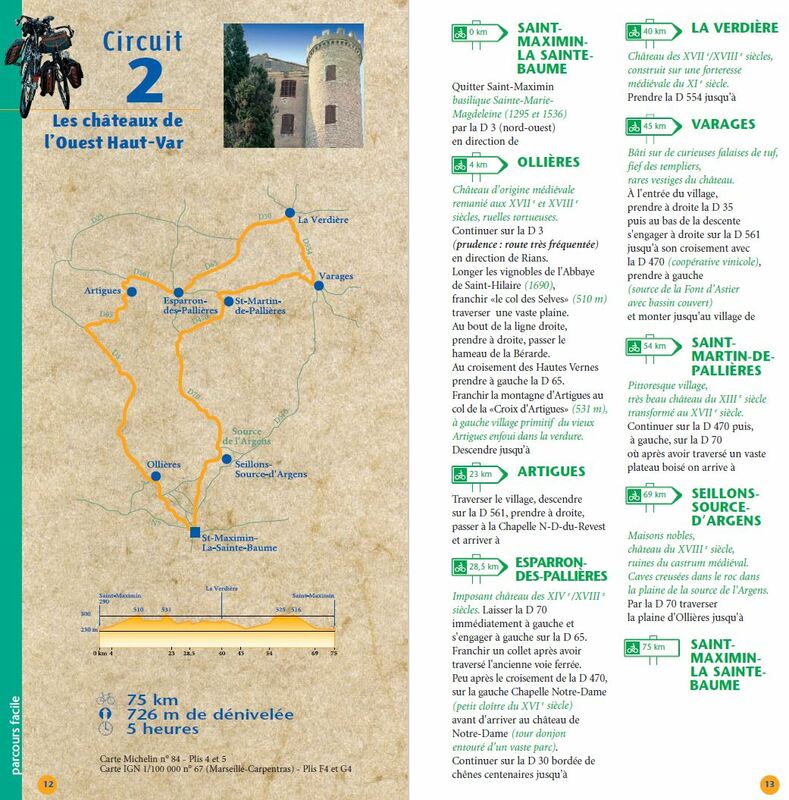 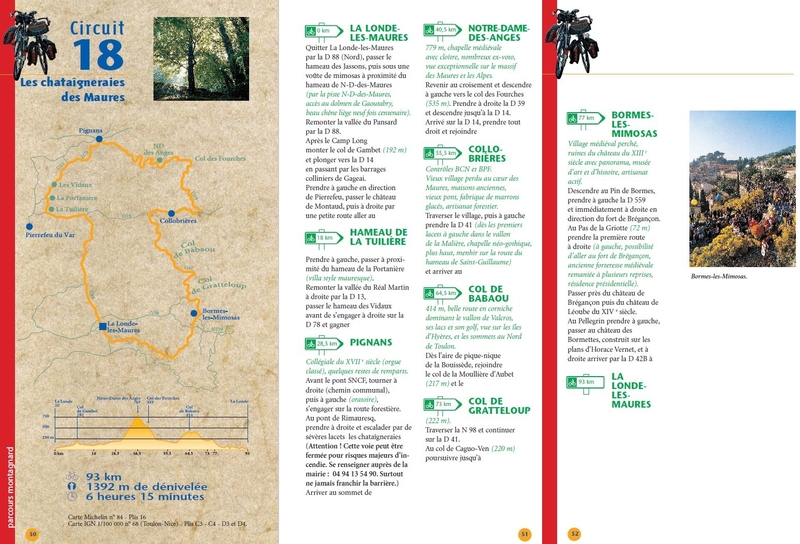 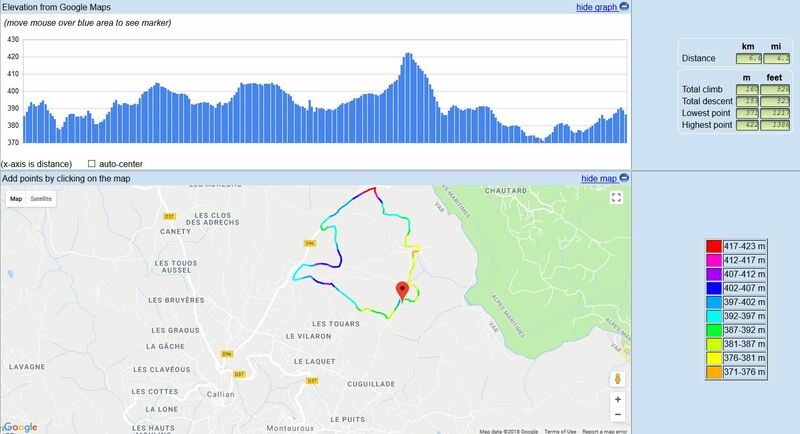 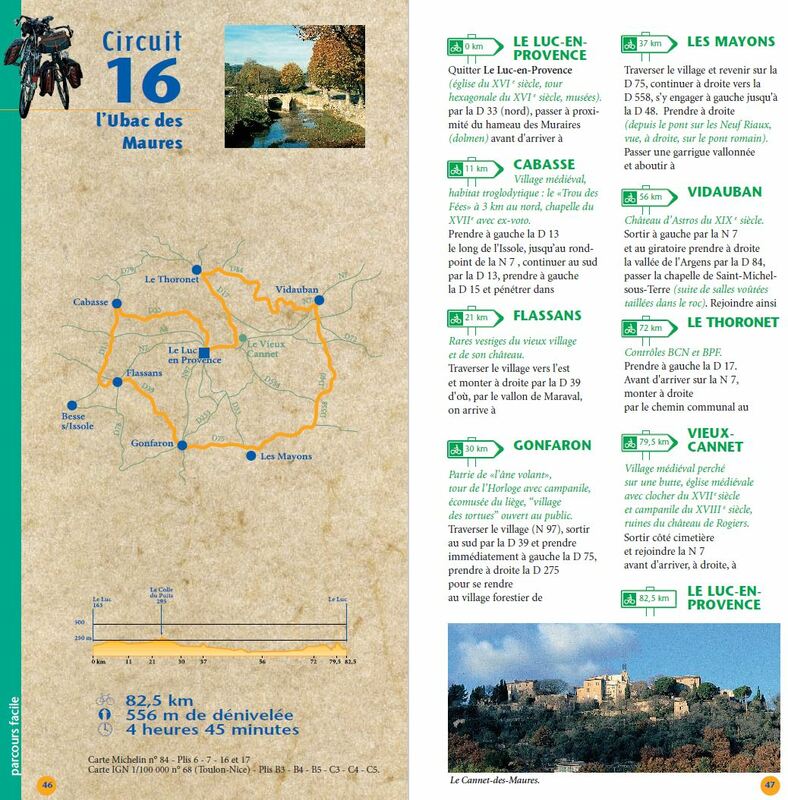 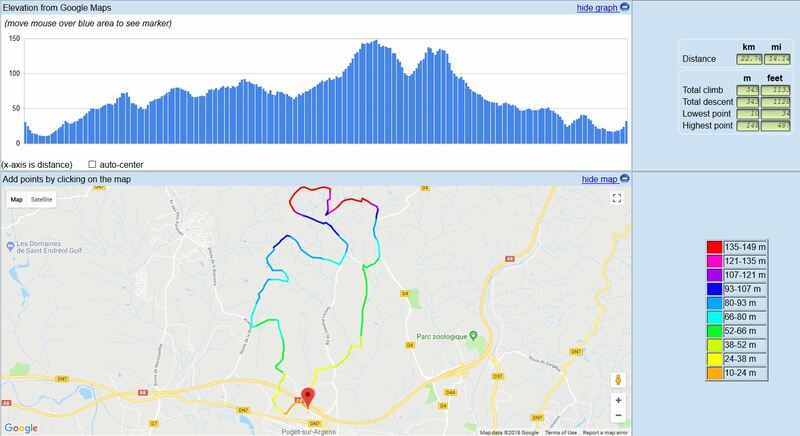 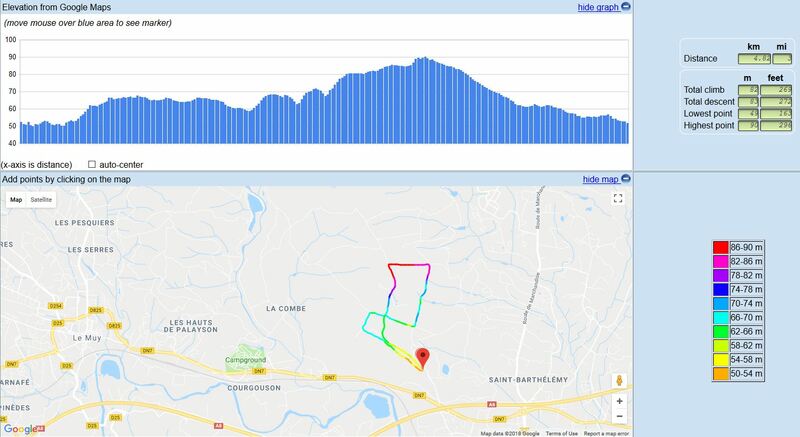 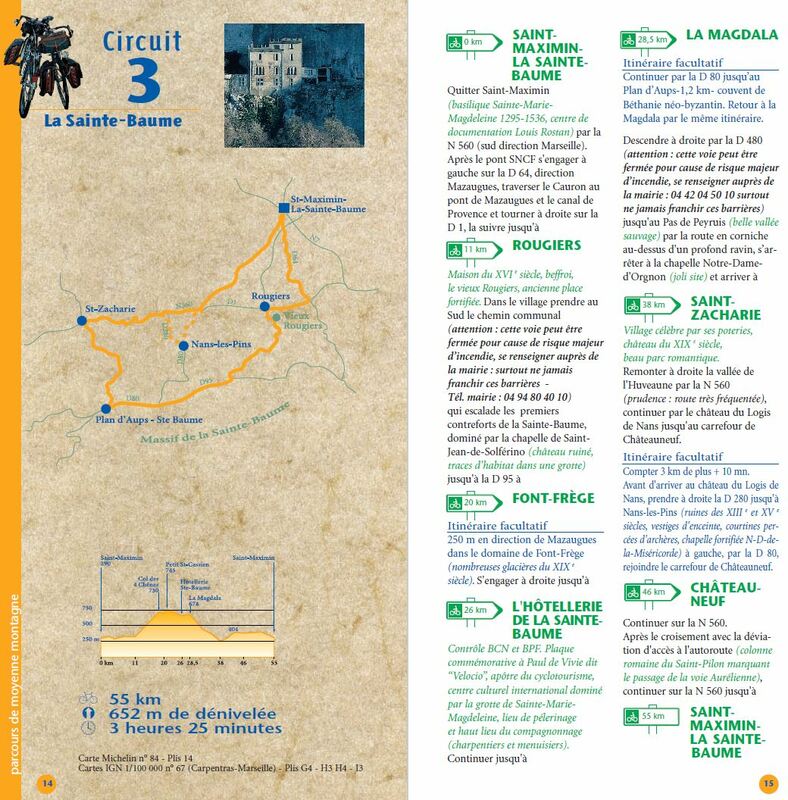 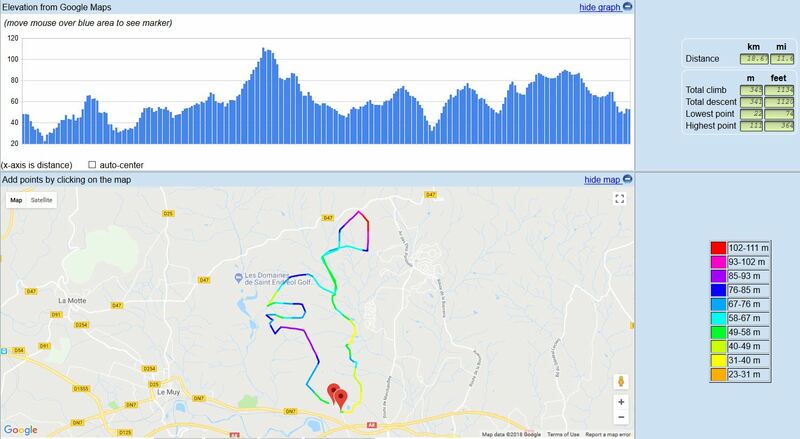 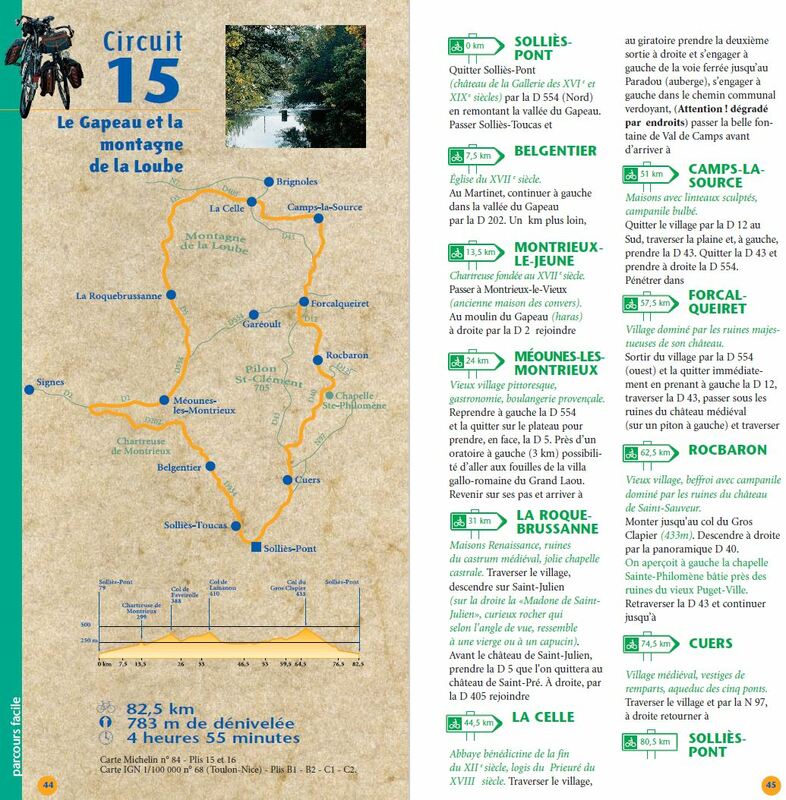 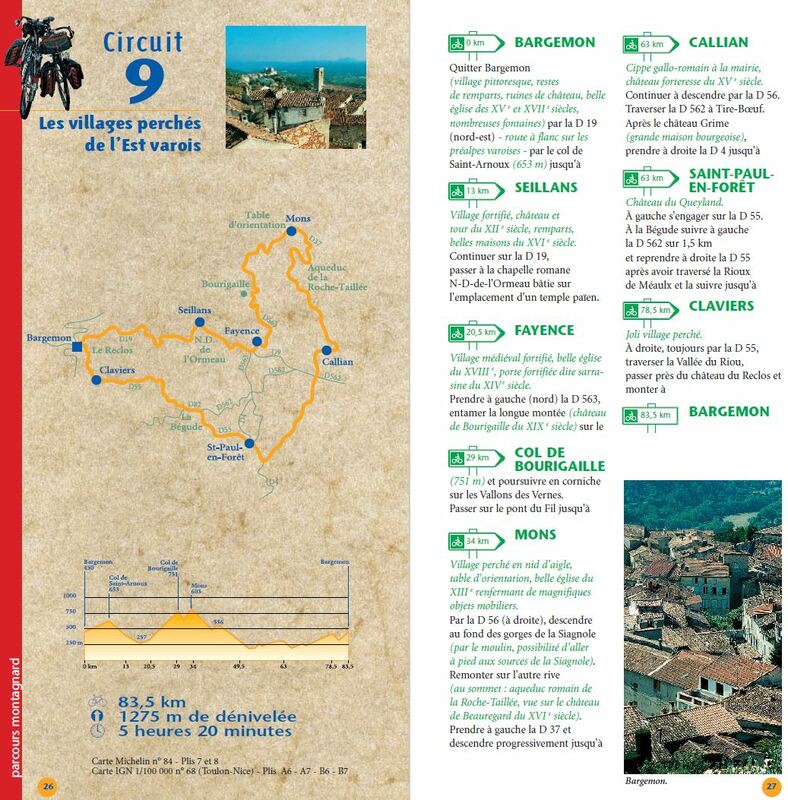 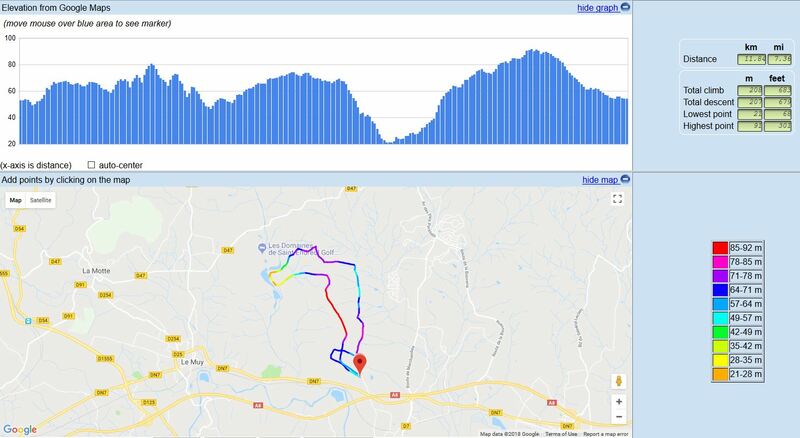 The Var department has developed a number of Randonnee Cyclotouriste, which are longer cycling routes helping you to discover this beautiful region.